This is the continuation of the Israeli TV Series, Hatufim. This is effectively the same story split across two seasons and picks up where it exactly left off, in the first season. Hence, in case you’ve not watched the first season, do not proceed with reading this review – you may read the review of the first season by clicking here. The plot is simple – Amiel Ben-Horin is still alive, just that he has switched sides, having converted to Islam, living as Yussuf, with a Syrian wife – the daughter of the spiritual head of Sons of Jihad, the organisation which held the three soldiers captive. Their captor, Jamal has passed away, and the organisation is now led by Amiel and Abdallah, a terrorist released by Israel as part of the exchange. Meanwhile, Nimrod has separated from Talia; Uri now lives with Nurit and is keen on bringing Amiel back to Israel. The crux of the second season is finding out who really is Amiel / Yussuf and this time, Haim Cohen is on the same side as Uri and Nimrod. 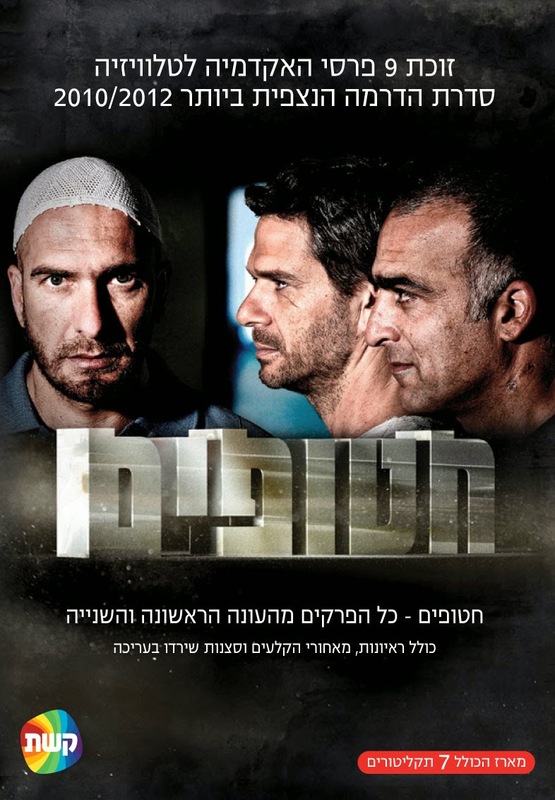 The good thing about the second season was, it was action packed, and it concentrated more on the investigation and I liked the way in which the perspectives kept changing – how on one scene, they’d be brainstorming the investigation in Israel and on the other end, you have Amiel and Abdallah plotting against Israel. I also liked the twists and turns that were there throughout the course of the second season, and some of them, if I may say so, was totally unexpected. Another thing I liked was that some of the irritating characters of the first season like Nimrod’s daughter, Dana, had a much improved role in the second season and her positive influence was unexpected and good. Moreover, in the Uri was also a little less cynical, was determined, which added to the pace that the story required, which was slightly lacking in the first season. But more than anything else, I felt the other side was portrayed very well – all the meetings of Sons of Jihad, the personal life of Amiel and his dilemma, how he carried out his responsibilities was brought out well. However, I also felt that, this time, the concentration on the personal lives of Nimrod and Uri was boring, seemed a mere digression from the main plot, which was the investigation into what is the cover-up going on behind Amiel’s death. Also, I felt that yet again, the soldiers recalling their captivity was repetitive and one of the reasons why I was done with the series faster than I was supposed to have was because I could forward those scenes and not lose track of anything. With all that said, I felt that the end was good, may not exactly be fitting, considering a lot of red herrings – whether they were to be considered red herrings or loose ends is up to the viewer’s interpretation. However, I feel it is better than any standard thriller and considering the longevity of its English remake, I may consider watching Homeland in future. I felt that this was slightly better than the first season, in terms of focus and the pace and hence, I’m awarding it a slightly better rating.